Stress balls are a great tool for kids, especially those with autism or sensory issues. Kids can use the stress balls as a fidget, for building hand strength, and for providing proprioceptive sensory input. 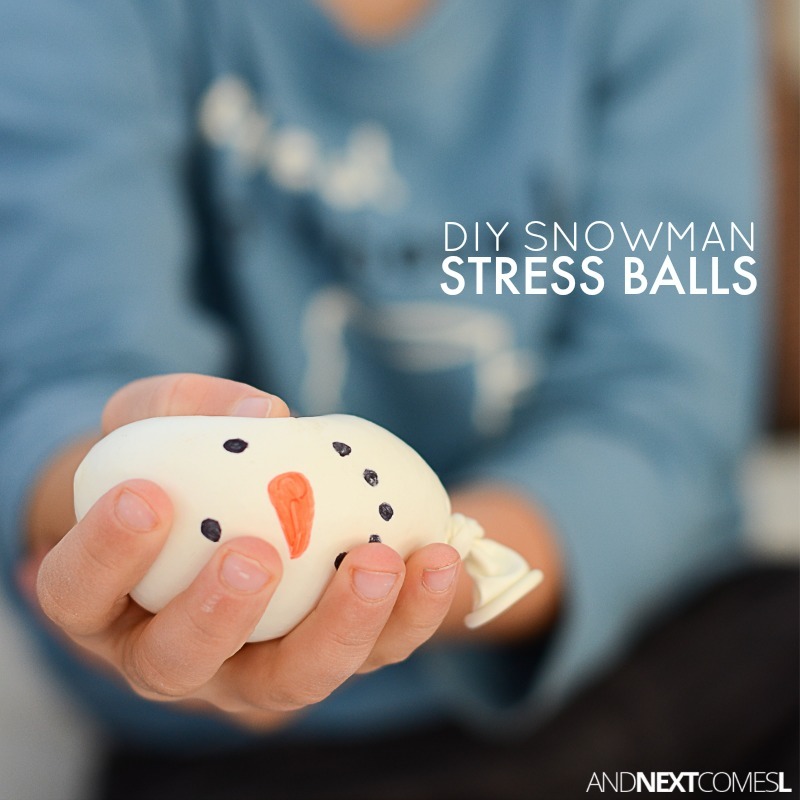 These DIY snowman stress balls for kids are the perfect winter-inspired homemade fidget! 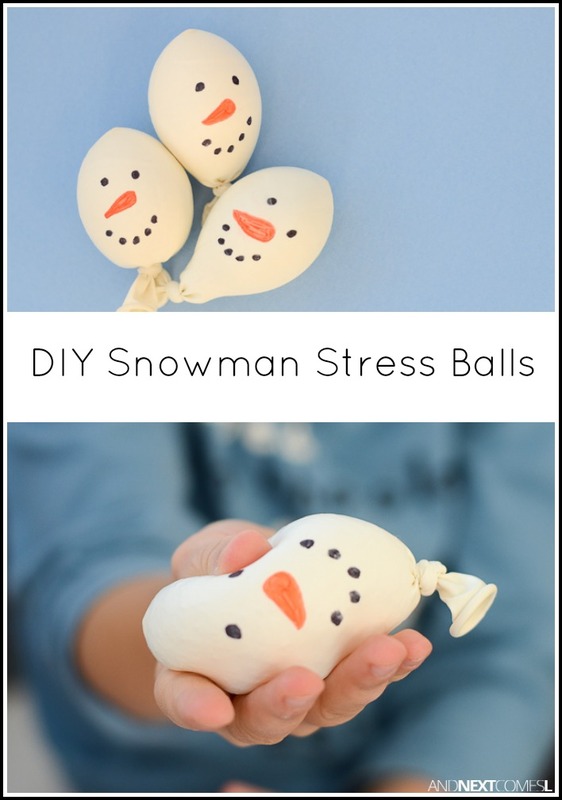 There's no reason to buy stress balls when they are so easy to make! Plus, with homemade stress balls, you get to use textures that you and the kids enjoy squeezing. You can make them any color you want, but with winter here (or with winter coming since we are currently without snow here in Saskatchewan, which is unusual! ), I decided that I wanted to make some snowmen inspired stress balls. The kids thought it was hilarious to squish and squeeze the snowmen's faces!